Today was a half-day with 27-minute classes. Good day for a quiz to check if AP Physics 2 students are where they should be at about the midpoint of the electromagnetism unit. I didn’t take a good photo of students during the quiz; so I took a photo of the classroom floor after moving all of the desks and chairs out of the way. 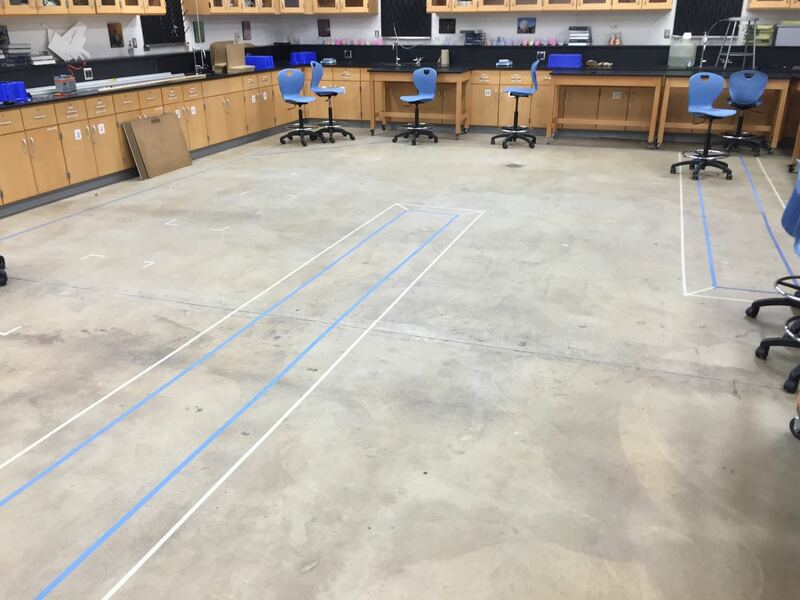 The concrete floor is marked with tape outlining half of the FIRST Robotics Competition Recycle Rush field. It helps to visualize and try various strategies when you can stand on a half of a full-sized field!